Does anyone buy you tackle presents for Xmas ? Its been very many years since the other half bought me a fishing related Xmas presi. Maybe 20 years ago !!! chest waders which were very welcome at the time. Whats the best fishing related Christmas present you ever got ? Are you hoping for one this Christmas ? every year,she'll do well this year the way the weathers been. Last year I got a black mug. When I get it I was thinking what the hell is it but when She put hot coffee in I had huge smile on my face. I never was so happy because of a gift. 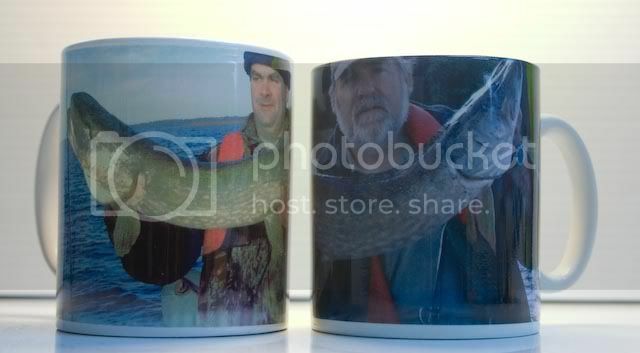 I saw a beautiful pike on a mug. That is a class Mug! screw my boat, i want a magic mug !!! Melanzyk, where can I get one ? That is a deadly mug!, i got a wheatly fly box once.... , but this year the missus is after getting me a twin skin bivvy!... must be tryin to get rid of me lol! Fisherman: "Hey, pal! You've been standing there watching me fish for three hours! Why don't you get a rod and reel and do some fishing yourself?" Onlooker: "No, thanks. 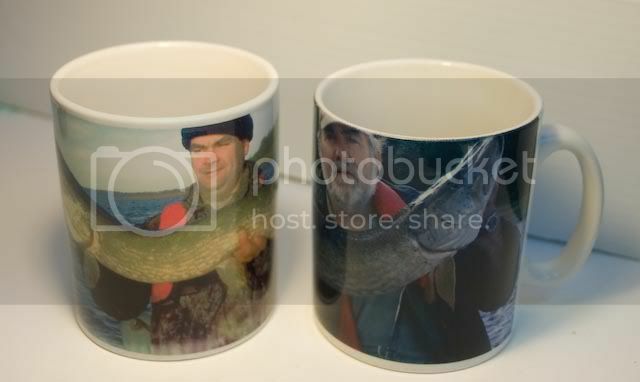 I don't have the patience for it"
I have been trying to locate pike mugs. Pat sent me this email. So anyone who wants a mug with a snap of themselves on it then contact Pat. IF ITS WET I LIKE IT!